Le Moulin de la Galette in Art ? The windmill Moulin de la Galette, in the district of Montmartre, was built in 1622. It was restored in 1978, but is not running.The mill was turned into a famous guinguette. 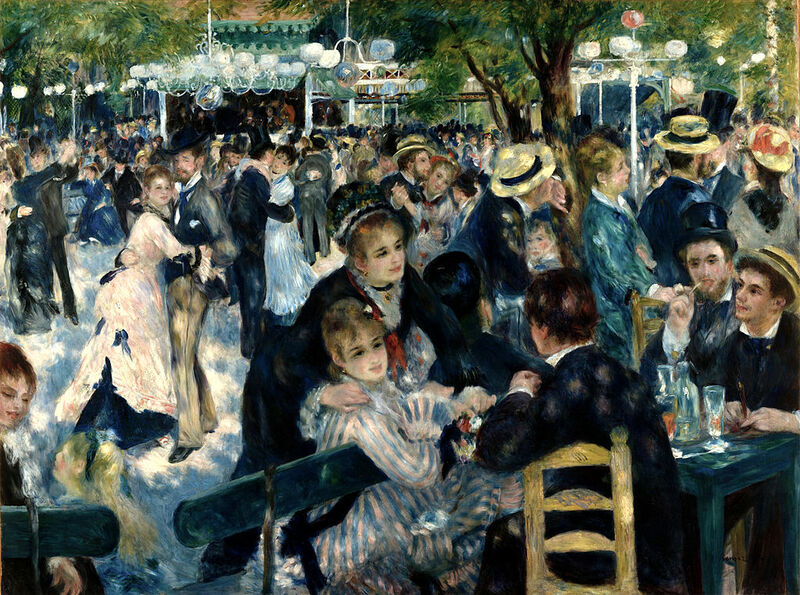 Artists, such as Renoir, van Gogh, Toulouse-Lautrec, Pissarro and Picasso have immortalized Le Moulin de la Galette, the most notable was Renoir’s festive painting, Bal du moulin de la Galette housed at the Musée d’Orsay.